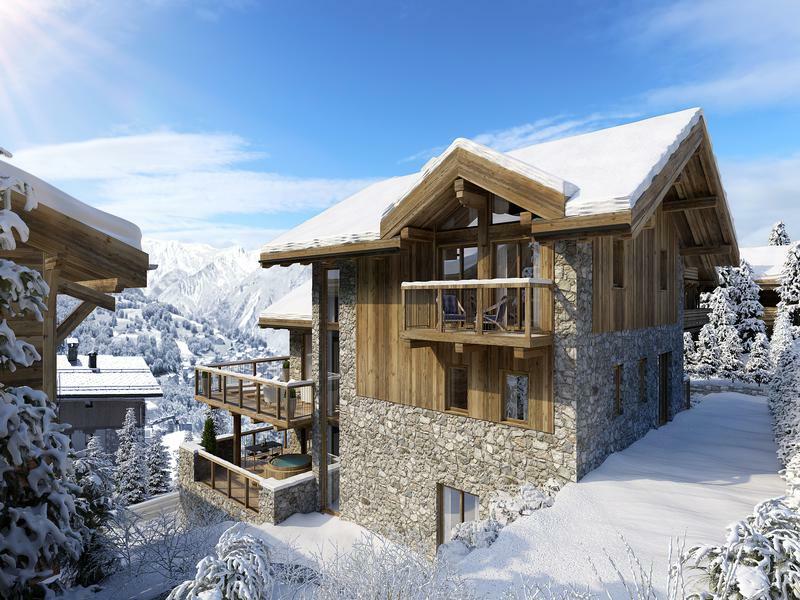 Perfectly situated in a sought-after location- just 5 minutes walk away from the ski lift and centre of the charming ski village of Saint Martin de Belleville, this exclusive, new-build ski chalet is a truly unique and exciting addition to the market. Designed by a reputable developer, the property will boast a breathtaking interior, with a perfect blend of sleek and contemporary elements, mixed with alpine-chic luxury and comfort. Measuring over 400 sqm, this chalet will offer large, light and open spaces, and added luxury amenities such as a sauna, gym and ski room. Also comprising 6 double bedrooms with ensuite bathrooms (one of which is an impressive master suite), a stunning open plan living, kitchen and dining area with large balcony, a private garage, TV and games room and unbeatable mountain views, the project is an unmissable opportunity to invest in an extremely high-end property in a well renowned and coveted area. As a new-build, it will be complete with a top of the range finish, ready to move into and with low maintenance costs. Unique on the market for its size and quality, it’s hard to find another property that would make for such a perfect ski chalet, for both personal or rental purposes, as well as somewhere to enjoy the beautiful summers the Belleville valley offers too. Made up of a mixture of stone and wood, the chalet will boast a beautiful facade which fits in perfectly with its alpine surroundings. 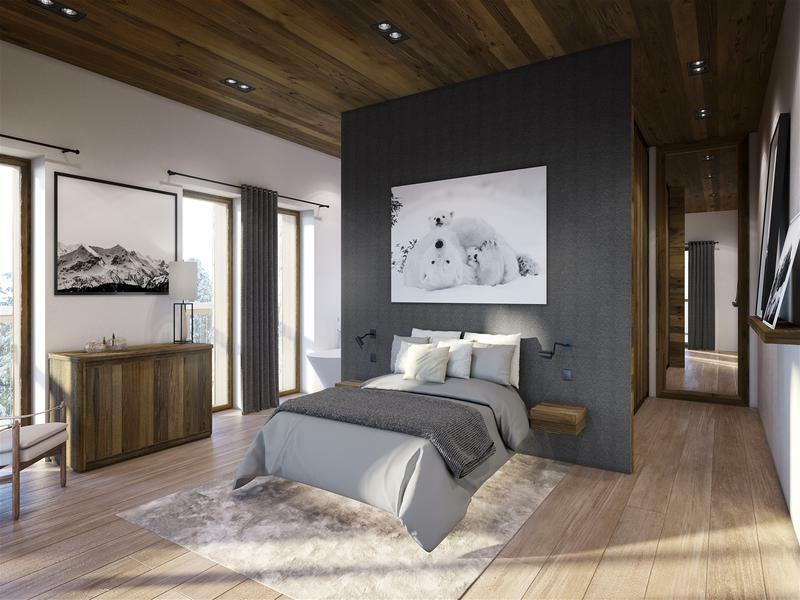 As the property is an off plan build, you do have the advantage of being able to make changes to the interior layout to create a truly bespoke chalet for your exact requirements where possible. Below is a description of how the chalet has been designed with the architect and developers but we can of course consider different variations. 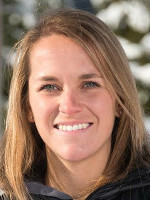 As you enter the property on the ground floor, you will conveniently have a private garage (as well as exterior parking spaces), a laundry room, and a ski room. This floor will also have a TV and games room, a fitness room and a sauna- all of the added amenities you could need making this a truly luxurious property. As you ascend to the first floor you will find the impressive master suite. Complete with a large walk-in wardrobe, an ensuite bathroom featuring a shower, bath tub, double sinks and separate toilet, and a large private terrace of 52.3 square metres, on which will sit a jacuzzi- ideal for relaxing after a day’s skiing and for enjoying the stunning mountain views. As with all the bedrooms, the master will feature a luxurious, cosy and modern mountain style throughout. On this level there will also be 3 other double bedrooms, each of which will have their own ensuite bathrooms equipped with showers. 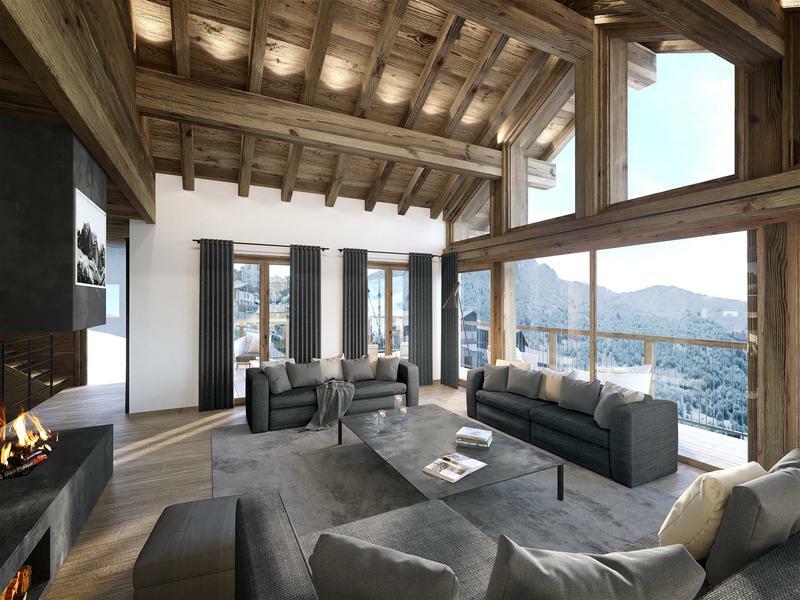 On the second floor of the chalet will be the beautifully designed spacious open plan living area. Comprising a lounge area with stunning fireplace, a dining area and a contemporary, fully equipped kitchen, this space also offers access to a large balcony. 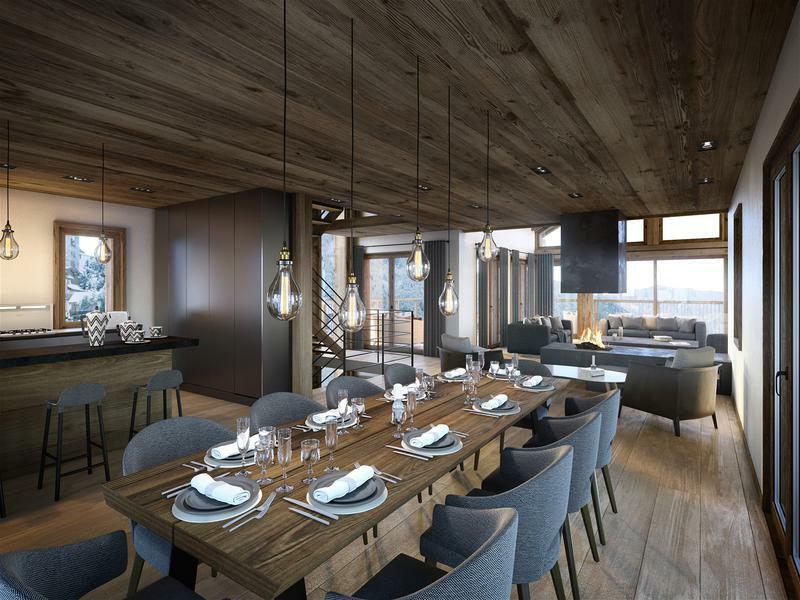 Flooded with light through impressive cathedral double height windows, this level will make for the perfect space to entertain family and friends, and to enjoy the breathtaking views of the surrounding mountain scenery, with a luxurious, alpine feel throughout. On the top floor of the property will be 2 further double bedrooms, both complete with ensuite bathrooms featuring double sinks and showers, one also boasting a bathtub. These two bedrooms will also enjoy their own private balconies. Nestled in an ideal part of a beautifully charming and authentic ski village, with an incredibly high level of finish throughout and a close proximity to ski lifts linking you to the world’s largest ski area in the world- The 3 Valleys, as well as to the fantastic collection of restaurants and shops of Saint Martin, this property is a stunning addition to the market which surely will not be there for long. Saint Martin de Belleville and the Belleville Valley in which it sits is an excellent place to enjoy everything an alpine lifestyle has to offer, with a lively summer season offering an array of activities, sports and events such as the passing through of the Tour de France in July 2019, it has a friendly community of year-round residents too and is a great place to own a mountain property. For more information please do not hesitate to contact us.